Funeral services for Fred C. Heinecke, 85, Lawrence, Kansas, formerly of West Plains, Missouri, will be held at 2:00 p.m., Saturday, April 14, 2018 in the Rose Chapel at Robertson-Drago Funeral Home. Mr. Heinecke passed away at 6:36 a.m., Sunday, April 8, 2018. He was born June 11, 1932, at Detroit, Michigan, to Fred C. Heinecke and Jessie Hammer Heinecke. He attended Bell Gardens High School, Bell Gardens, California, where he was the first 4-year letterman in any sport, graduating with the Class of 1950. After graduation, Fred joined the United States Navy and was honorably discharged in 1955. On March 22, 1958, he was married to Marjorie Ann “Marge” Cromer. He began work for 3M in 1956, where he led the division in sales. In 1975, he went to work as a manufacturer’s representative for W. T. Leonard & Associates in St. Louis. As a result, Fred and his family moved to West Plains where he remained until 2015. At the time of his death he was a resident of Lawrence, Kansas. Fred was a member of the Presbyterian Church in West Plains, where he had served as an Elder. He enjoyed working in his shop building furniture and was a gifted craftsman. He spent all the time he could with a fishing pole in his hand. 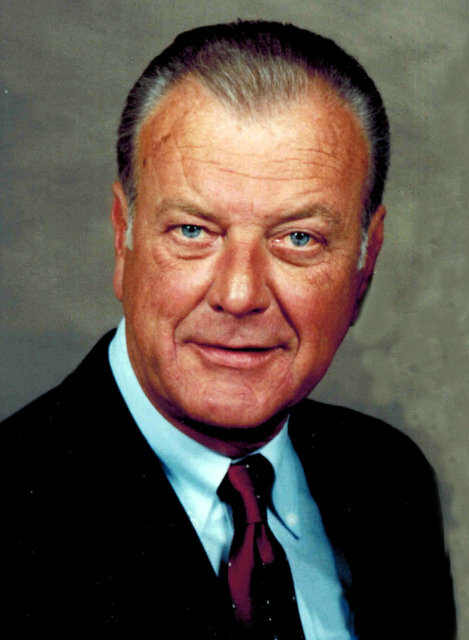 He is survived by one daughter, Rebecca Dicks and husband Gary, Fallbrook, California; one son, Fred Heinecke and wife, Kelly, Baldwin City, Kansas; one grandson, Fred; three granddaughters, Allison, Kendall and Erica; and five great-grandchildren. He is preceded in death by his parents and his wife of 58 years, Marjorie. Visitation will be held from 1:00 until 2:00 p.m., Saturday, at Robertson-Drago Funeral Home. Burial will be in the Evergreen Cemetery. Memorial contributions may be made to Evergreen Cemetery and may be left at Robertson-Drago Funeral Home. I want to extend my deepest sympathy to you and you family upon the loss of your Father. You and your family will be in my daily thoughts and prayers. May God comfort, encourage, and support each one of you through this difficult time. May God bless each one of you. Please accept my sympathy and prayers as your family says goodbye to a really great man. My relationship with him was professional and always great. I’m sure your personal relationship with him was outstanding because that’s the kind of guy Fred was. Your Dad was always my go to guy when I ever needed help with any of the products he represented….he taught you well IV because you took over that job for me when your Dad retired. I’ll miss him….as I continue to miss our relationship and the business we enjoyed. Please be well and know your family will be in my prayers. Your friend!